Query letters are the bane of many writers. They can be hard, frustrating, and downright impossible sometimes. Advice all over says you have to make them perfect, but that puts a lot of pressure on a poor writer. What you want to focus on, is making it the perfect query for your novel. 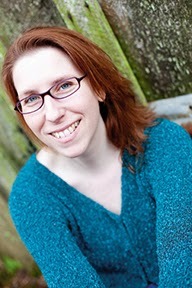 My agent Kristin Nelson posted my query on her blog and talked about what caught her eye. I thought it might be fun to look at it from the author's perspective. I've struggled with queries like everyone else, and one of the hardest parts for me to finally get was trying to figure out what to put in it. My query isn't perfect by any means, and I cringe at parts of it now, but it was written with specific goals in mind. Every word was chosen for a reason and I spent probably two months working on this letter. Before I started, I knew I needed three important things to come across: Voice, setting, conflict. Voice is important to any novel, but it's vital in YA. In The Shifter, Nya has a definite style, and I wanted that to come across in the query. I felt that if an agent loved my voice, they'd be more likely to cut me a little slack on the query. Had I not written a fantasy, I might have needed less on this, but I wanted to do a little world building and introduce the magic system. It's hard to understand the conflict and stakes if you have no context to place it in. But I wanted to be careful about not just describing the world, so the setting also had to show character and conflict. You can't have a story without conflict. This was the meat of the story and I knew I had to show an agent something that would grab them. Since it's also an adventure, I needed to show escalating stakes. Below is my query. I'll put my reasons for what I did in color. Seventeen-year-old Nya couldn’t find good luck in an empty pail. Nya uses these little sayings a lot in the story, and I wanted to show the voice right away. I also hoped to give a hint of her personality and the culture. As one of the city’s many orphans, she survives on odd jobs and optimism — finding both in short supply in a city crippled by a failed war for independence. I tried to show both character history (she's an orphan) and world history (war crippled city) and give a sense of setting. Times are tough, people have lost hope, but Nya still has optimism. She's plucky! It also hopefully shows the inherent conflict in the world itself. A failed war for independence means someone is ruling these people and they don't like it. But they failed to do anything about it. There are few jobs, which hints at the economic state. Then a bungled egg theft, a stupid act of compassion and boys unable to keep their mouths shut, expose her secret to the two most powerful groups in Geveg: the pain merchants and the Healers' League. This is the inciting event of the novel, and it takes place in the very first scene. It also tells a little about Nya. She has to steal, but she isn't good at it (bungled theft). I also hoped the fact that she's stealing eggs suggests she's just trying to get food to survive, not because she's a bad person; I combined that with the next detail to show she's a compassionate person even when it isn't in her best interest to be (a stupid act); and she has bad luck by being seen by people who wouldn't keep her secret (reinforcing the first line) They discover Nya is a Taker, a healer who can pull pain and injury from others. Describes the magic system and what Nya is Trouble is, unlike normal Takers she can’t dump that pain into pynvium, the enchanted metal used to store it. More about the world mechanics and why Nya is different from other Takers All she can do is shift it from person to person, a so far useless skill that’s never once paid for her breakfast. How she feels about her ability, hopefully giving a sense of voice and character. She's a healer, but she finds no value in it. And "so far" suggests that this is about to change. I hoped this opening paragraph would show the voice, the setting, the world, and hint at a culture full of inherent conflict. That it would say: Here's this interesting person with an intriguing ability, who lives in a troubled world where she thinks this ability is useless, and it's about to get much worse. When an accident floods the city with injured and Takers start disappearing from the Healers' League, Nya’s talent is suddenly in demand. This is the result of the inciting event, meant to show escalating stakes. I also wanted to show that something bigger was going on, and that Nya was about to be sucked into it, as this is the core conflict of the novel. But what she’s asked to do with her healing ability feels as wrong as fish with feet. More voice, more character, showing that Nya is morally opposed to what she's being asked to do. Escalating stakes yet again. That is, until her sister Tali goes missing — then walking fish don’t sound so bad after all. Now that her sister is in trouble, she's considering what she's morally opposed to. Another major plot point of the book, especially for Nya's internal conflict. It also ups the stakes one more time, both internally and externally. Because finding Tali means taking on the League, and to do something that stupid she’ll need what only her “useless skill” can get her. More conflict and stakes, and what Nya has to do to win. She has to take on one of the most powerful groups in the city, doing something she doesn't think is right to save her sister (showing internal conflict as well as external). And that objectionable thing involves her pain shifting ability. I hoped that the evil implication of what that might be would be intriguing enough to make an agent want to know more. As her papa used to say, principles are a bargain at any price, but how many will Nya have to sell to get Tali back alive? More voice and character, and it also show more stakes. Tali's life, Nya's principles. Books usually have happy endings, so I don't think anyone will wonder if Nya wins or not. But she's going to pay a price to win here, and the real question is how much of one. So the final line isn't a yes or no question, but one that hopefully piques curiosity. And because I know writers love stats: I sent this query to seven agents and pitched one in person. This earned me one manuscript request, four partial requests (three of which turned into full manuscript requests), one "no" that said I'd no doubt find success elsewhere (the book just wasn't for them), one form rejection, and one no reply. So that's it. A query by design. Was this the first novel you queried out to agents? You don't know how much good you just did my poor little heart! Not that I would wish bad novels on any writer, but having just received my third reject on novel two... the dream lives! How did you know that the first two novels weren't good enough? Was it after a specific number of rejections or were you told by someone in the industry? A little of both, plus a gut feeling. They were rejected by everyone I sent them to (about 25-30 each), but I did get a few nice comments about the writing itself, which I took as encouragement. I took the second novel to the Surrey International Writing conference, and I signed up for a "Pitch Your Novel" master class. But I couldn't come up with a good pitch. The presenter asked me all kinds of questions trying to find the core conflict of my novel for the pitch, and I couldn't answer a single one. I knew then and there the book was doomed. I had a premise, I had a situation, but no story. What I learned the rest of the conference just reinforced that. I came home, tossed that novel aside and started the research for what would become The Shifter. When I have ideas now, I write a query letter for them before I write the novel. 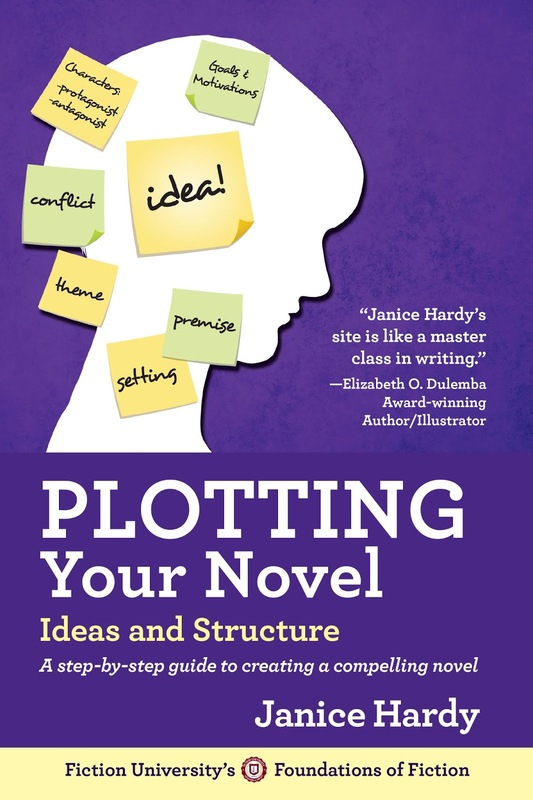 I've found this is a great way to see if I have a solid story with a good core conflict, protag and stakes. The query isn't anything I'd show an agent, but when I can't get a decent one, then I know the story isn't ready yet. Angie: I'll see what I can do :) I seem to have misplaced my old submissions folder, but it has to be somewhere. Janice -- thanks so much for the query breakdown. I find these real-life examples very helpful! Amanda: Most welcome. I like doing examples because it's so much easier to see something than just get the general idea of it. I always learn better when I see it in practice and see why. Suzi: Glad I could help. There are all kinds of different ways you can write a query. What it really boils down to is showing a character with a problem and why someone would want to read about that. Thank you for this post! I'm struggling with the best way to get across my character's first person voice in a query. I've managed it with my synopsis through the use of carefully selected quotes, but that isn't feasible in a two paragraph query. Any suggestions? Was your novel first person POV? Yes, it's first person. I tried to write the query as if my POV was writing it. Get into her voice, rhythm, etc. The same style I used for the book, just in query format. You might not be able to do quotes like I did, but maybe your POV has a tone or way of speaking you can use. That's a really interesting idea, to write the query as if my character were writing it... I'll try that! Thank you for your help! Most welcome! One thing, (you probably know this already, but just in case) you'll write in it the voice, but it won;t be a first person query. It still needs to be third person present tense. There is the occasional first person query that works, but they're very rare. Yes, I got that. I’m going to try doing a first person draft as an exercise, to try out the voice, then work on getting it right in 3rd person. Thanks for all your help. Most welcome. Best of luck on your submissions!